For two decades, Tasmanian secondary school students have been travelling to Nepal to trek in the Himalayas. The idea came from a group of Tasmanian outdoor educators in the 1990's who believed in the power of "expeditioning" as a way to foster personal development in young people. 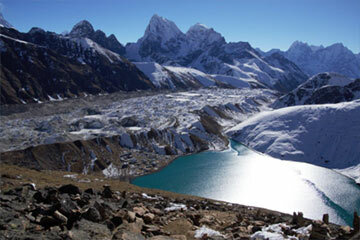 Over the years, Mick Ling, from Launceston College, led scores of students to Nepal to experience the majestic mountain scenery, the cultural diversity and the history that makes Nepal a unique and highly sought after destination for travellers from all over the world. More recently, schools from around Tasmania have offered overseas trips as part of their educational programs. However, the thing that separates the Tasmanian Secondary Schools' Himalayan Expeditions from other school trips is that they are open to all Year 11 and 12 students from around the state, irrespective of their school of enrolment. From the first trip in the 1990's to the current trip in 2017, those educators who have led the expeditions believe in the power of collaboration; the trips are inclusive and enable students with a sense of adventure to join, even if their own schools do not have staff with sufficient skills, resources or experience to offer such life-changing experiences. 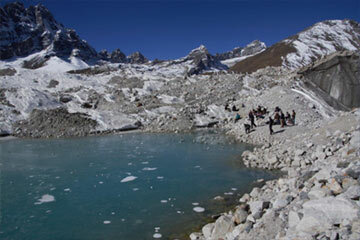 The primary focus of the trip is to participate in an extended trek of 15 days with all the challenges that entails. Fatigue, altitude, health issues, interpersonal conflict, homesickness and exposure to new and varied cultures - these are just some of the things that students might confront on their expedition. Interestingly, we actually hope that students experience some degree of challenge because it is only by confronting, and overcoming, real world problems in real world contexts that students get to develop authentic resilience, self-confidence and problem-solving skills. The Bookend Trust through Expedition Class supports these programs by bringing them to life for our online audience.